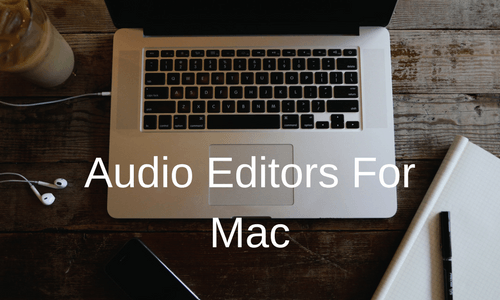 Here I have described audio editing software for mac. Below all audio editing software is top rated and chosen by experts. Apple includes their entry-level GarageBand music editing app with every new Mac. That means, if you’re new to music or a hobbyist, GarageBand is where it’s at. GarageBand uses Drummer digital session player and is the perfect app to help you start creating and mixing songs — especially if you’re a super novice. you can create an entire song using just your recordings or just the instruments found in GarageBand. If you’re not satisfied with the instruments available, you can also purchase instrument packs to get different sounds. Use iCloud to store your projects or share them with friends for collaboration. You can even start a song on your iPhone and then finish it on your Mac! Logic Pro X is Apple’s pro-level music editing software that still manages to be accessible to beginners. The powerful app has all the tools you could want for mixing, editing, and songwriting, with a massive library of instruments and effects. If you’re looking to make polished, professional-sounding recordings, without a ton of complexity, then Logic Pro X is where it’s at. The 64-bit architecture supports projects featuring hundreds of tracks and instruments, best for composer. Logic Pro X’s Drummer is top-notch when it comes to producing authentic acoustic drums sounds. Pro Tools, by Avid, is one of the most popular music editing apps in the industry. It can be used to record, mix, master, and much, much more. You can lay down up to 128 tracks per session, with 32 inputs and over 60 plugins, and you can create an unlimited number of sessions. From here, you can add a plethora of effects to your audio and edit it like mad, controlling volume, speed, pitch, tone, and much more. It is one of the most robust audio editing apps available and is definitely for those looking to tackle things on a professional level. For the performance DJ,djay Pro has all the effects, compatibility, and mixing capabilities. You can sample from iTunes and Spotify simultaneously, and you can even mix in video from the extensive video library for the ultimate experience. Use external displays and AirPlay, and there’s Pioneer CDJ/XDJ integration for even more versatility. Audacity is a free open source audio editing and recording software that lets you cut, copy, paste, and delete audio. It isn’t exactly the most powerful when it comes to music editing, but if you’re wanting demo material or something ,it’s perfect. You can import audio in many formats, though for MP3, you’ll have to install a separate, optional encoder library. You can edit and mix a large number of tracks at once and even alter individual sample points, though you can’t add effects or do any sort of mastering. Audacity may be better-suited to podcasting. just need to create rough ideas, it’s perfect, because FREE.